Our company is based on the principle that education and understanding of your current financial situation is vital to successfully making prudent decisions concerning your future financial condition. We pride ourselves on providing exceptional customer service. 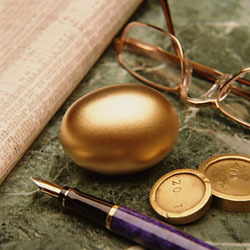 At ERL Financial Services, LLC, every action is driven by our Core Values. We strive to treat every client with integrity, while providing superior service. If you have any questions about your current financial situation or wish to schedule and appointment, send us an email or give us a call at (301) 387-0655.